Happy Labor day! I hope you get to enjoy the day with those you love! Here's my and Anna's photos for week 16 of the crazyjoy challenge, YOUNG. 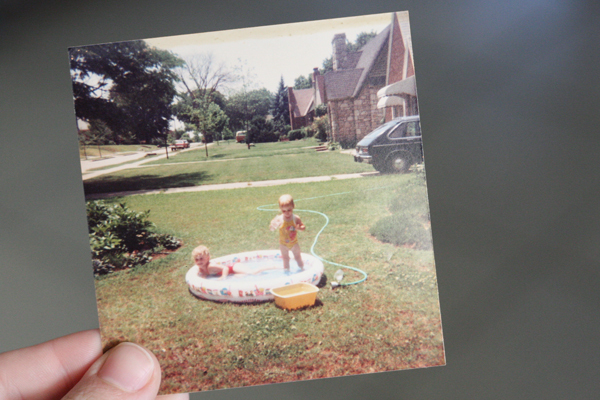 An old picture of me and my sister that I found at my grandpa's house over the weekend. How fun. The NSYNC folder cracks me up. Check out her blog for the letter she wrote to herself when she was 14! It's awesome. Oh, and link up with her if you joined in. Otherwise, have an awesome Labor day! Hahaha that's actually an NSync poster book because I got to go to the concert!!! what what?!?! you crack me up. i was going to do something with a pic of me and my sis. so funny. i loved my dear diary!